Many governments in the developed world have agencies designed to deal with global health issues. Also included in this section are those organizations, like the World Health Organization, that operate under the auspices of quasi-governmental organizations like the United Nations. 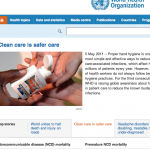 World Health Organization: You can get top blog stories on international health, as well as access to reports. USAID: This is the U.S. government’s efforts to improve global health, among other aid to developing countries. Public Health: The European Union offers this site on public health, including a blog that updates you with the latest international health headlines. John E. Fogarty International Center: This center, from the National Institutes of Health in the U.S., offers regular news postings. Australian Government Department of Health and Aging: Includes information on international health, with updated posts. Global Health: This offering from the CDC offers insights into global health. Blog 4 Global Health: The blog offered by the Global Health Council. A great resource. There area number of non-profit organizations that are interested in improving global health. Even some for-profit organizations are involved in addressing international health issues. These blogs can help you read more about efforts being made by workers around the world. HAI Europe Staff Blog: Health Action International’s European staff offers great insights on international health policy. Global Health Blog: IntraHealth International offers insights into global health. BIO Ventures for Global Health: Interesting organization interested in encouraging investment in global health ventures. AKIMBO: This is an international organization aimed at women’s health. Doctors Without Borders: This well-known international health organization has a blog that keeps you up to date. Hesperian: A publishing company that focuses on international health information and outcomes. Association of Public Health Laboratories: Looks at global health policies and encourages efforts to work together. Project Concern: A look at global health from an international organization interested in health outcomes. Handicap International: A great organization dealing with international health and handicaps. Field Notes: A blog from UNICEF about health and more. 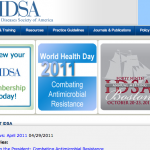 Infectious Diseases Society of America: Offers insights into communicable diseases in the U.S. and around the world. Batey Relief Alliance: Offers a look at international health efforts in the U.S. and the Caribbean. GlobeMed: Students unite in the cause of global health. Religion can be a powerful motivator. There are some faith-based programs aimed at relieving global health issues. These international organizations reach across borders based on faith. 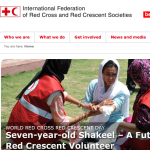 International Federation of Red Cross and Red Crescent Societies: News and information from this venerable societies. Episcopal Relief & Development: Global health efforts. IMA World Health: Faith-based organization interested in improvements to international health. Adventist Development and Relief Agency: Organization that is interested in promoting better global health. World Vision: Christian organization based on global health. Christian Connections for International Health: News, posts and activities. Catholic Relief Services: Focuses on providing different services, including health services. Some international health organizations come in the form of foundations, trusts and institutes. Some of these institutes are located at universities and colleges, and some of the foundations are concerned with providing information about what you can do to help. Many trusts are set up to fund global health initiatives. GHC: The Global Health Corps is a community from Stanford University. The Francois-Xavier Bagnoud Center for Health and Human Rights: Institute at Harvard focusing on international health. Guttmacher Institute: A look at global health issues. Bill & Melinda Gates Foundation: Includes a number of projects and efforts to improve international health. Center for Global Health: The University of Michigan offers global health insight. Elizabeth Glaser Pediatric AIDS Foundation: International health organization focusing on HIV/AIDS. Foundation for AIDS Research: International organization looking at HIV/AIDS. U.S. 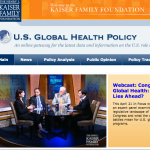 Global Health Policy: The Kaiser Family Foundation looks at international health and U.S. policy. The Max Foundation: Worldwide cancer community blog. Albert Einstein College of Medicine: Global health issues and more from Yeshiva University. University of Washington Department of Global Health: Includes great posts and information. UC Global Health Institute: The University of California has its own institute focusing on global health. There are organizations set up to address specific issues related to international health. Such organizations might include those that focus on poverty, population growth and reproductive health. All of these items are related in some way to global health, and some of these specific issues, when addressed, can result in improved health outcomes around the world. One International: This blog focuses on issues affecting global poverty, including global health issues like vaccines, HIV/AIDS and maternal health. Save the Children: Focuses on issues especially related to children and infants. East Meets West: Foundation devoted to issues of development, including international health. CPGC Blog: The Center for Peace and Global Citizenship looks at education and development, which can impact global health and wellness. State of the Planet: The Earth Institute at Columbia looks at health issues as part of development and sustainability. Direct Relief International: Medical supplies and other helpful efforts in international health. PSI Healthy Lives: Looks at impacts of different population and health issues. The Population Council: Addresses issues related to population, including health. Center for Global Development: Looks at poverty and other development issues that can impact global health. CARE: Posts on issues of global import, including health, poverty and reproduction. Pathfinder Field Journal: Focuses on reproductive health, especially as it relates to birth control. This entry was posted on Thursday, June 2nd, 2011 at 8:00 am and is filed under Global Health, Health Policy.